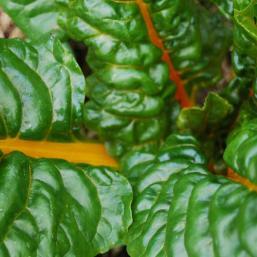 Silverbeet is a very productive vegetable with a rainbow of different colours to brighten vegetable and flower gardens alike. 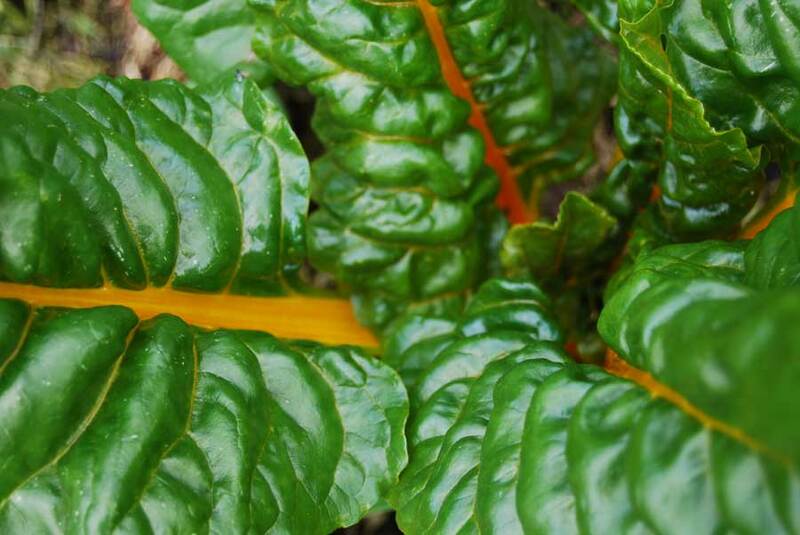 These delicious leafy greens can be planted year round in many gardens and are reasonably quick to mature. 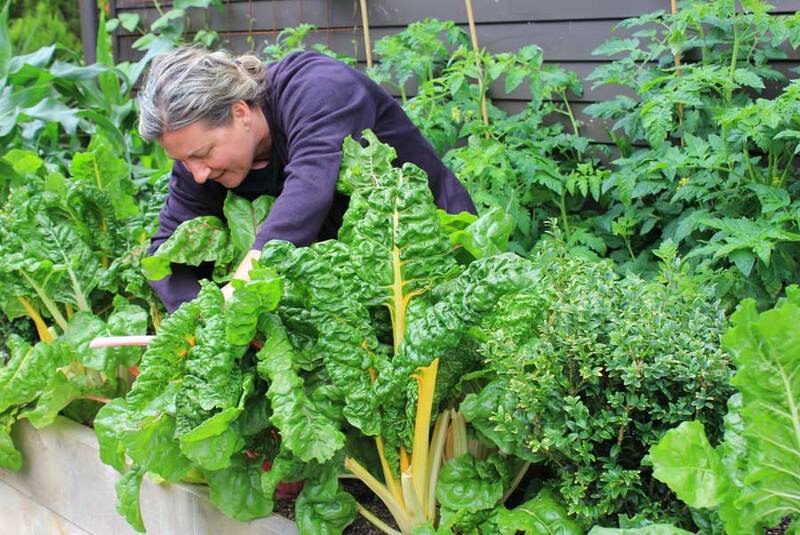 Spend a few productive moments outdoors now and you’ll have a batch of lush greens well on their way to harvest in about 8 weeks. Harvest seems to go on and on, the more you pick the more leaves keep coming. 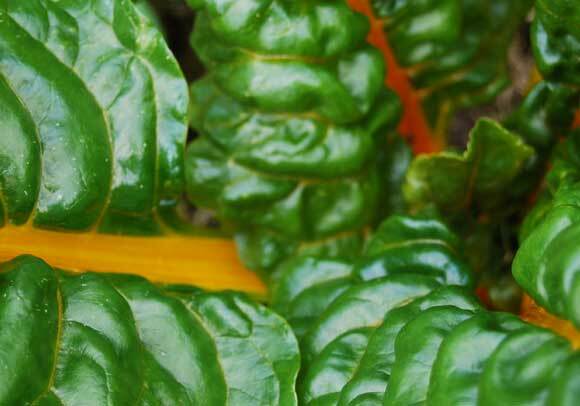 Silverbeet has broad and colourful stems that, when picked young, are as succulent as the leaves themselves. Companions Bush beans, onions, lettuce, cabbage, kale, broccoli, cauliflower, brussels sprout, sage, mint, rosemary, garlic, thyme. 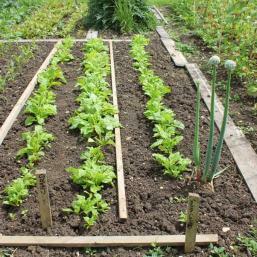 Quantity 1 plant per person as a successive sowing. 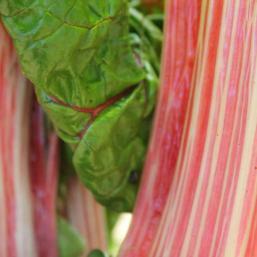 Ford Hook Giant heirloom variety producing green crinkled leaves with broad, pure white stems. 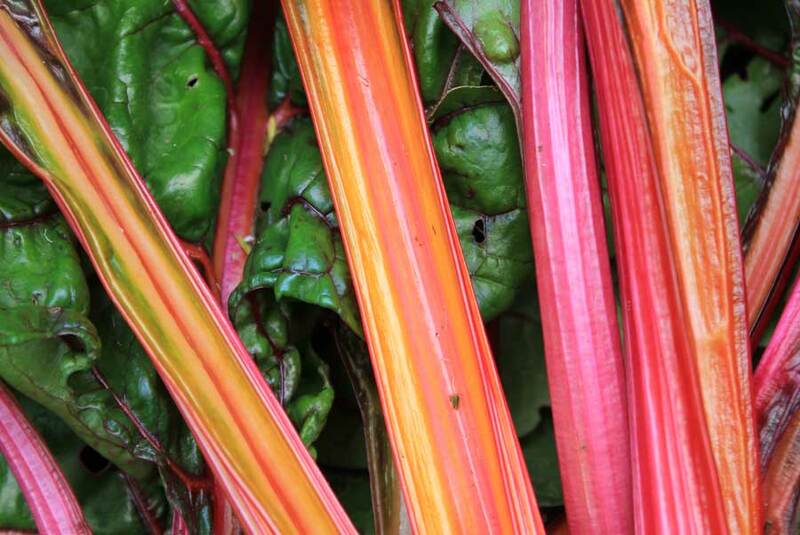 Rainbow Lights heirloom variety and a stunning leafy green to grow in the garden. 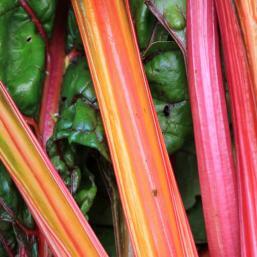 Stems and veins boast an amazing range of vibrant yellows, golds, reds, oranges, pinks, purples and lilacs. The foliage if darkly tinged too. 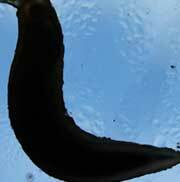 Steaming helps to preserve colouration when cooking. 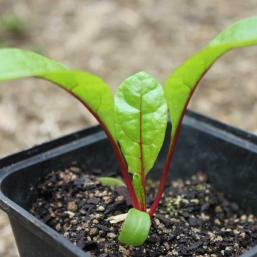 Cardinal heirloom variety with deep crimson stems and leaf veins. 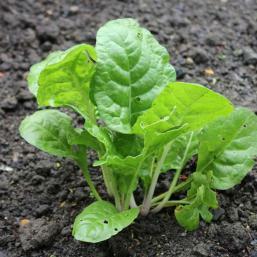 Silverbeet can be sown from September through to April. In warmer areas, it is less likely to bolt and go to seed if sown after Christmas – these late sown plants will provide foliage through winter. 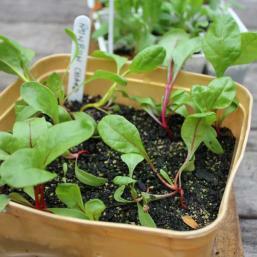 Use polythene cloches to protect plants during winter in particularly cold parts of the country. 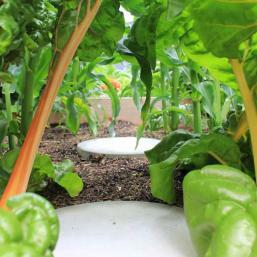 Silverbeet thrives in full sun as well as in parts of the garden that get a bit of shade through the day. If you get the conditions right it can grow to between knee and waist height. 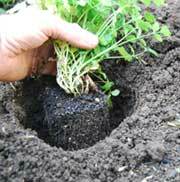 Ensure your soil has been well-composted. Leaves like these love plenty of nitrogen (the key nutrient for leafy plants). 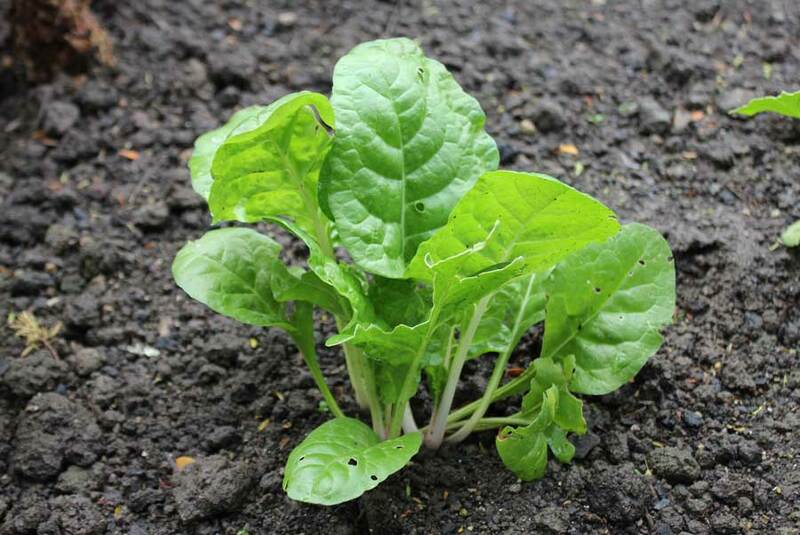 If you can, plant silverbeet where you previously grew peas or beans (these handy plants fix nitrogen back into the soil). 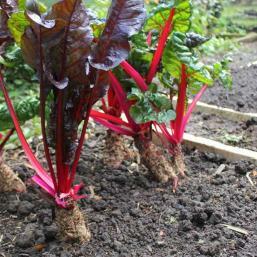 Alternatively add something nitrogen-rich like well-rotted horse manure, sheep pellets or chopped up seaweed. If your garden has free-draining soil that is not too water-logged then dig well to a depth of about one spade blade to loosen things up, mix in compost and allow a good root run for these gross feeders to gain their nutrients from the soil. 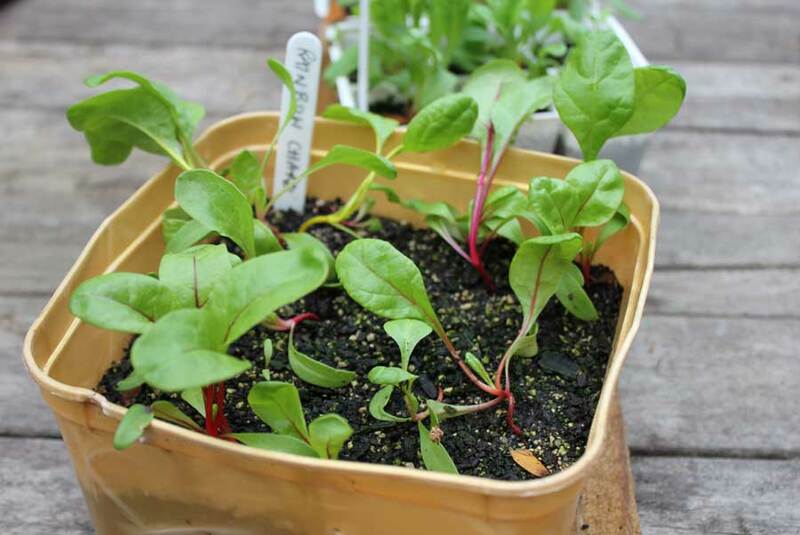 If you are on sticky clay then raised beds or container planting (large pot or half barrel) are the best options for creating a productive growing medium that will see plants like silverbeet thrive. 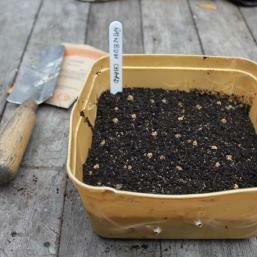 Make a shallow trench along your row - around half your forefinger deep and sow seeds a hand’s length apart. Rows want to be about a forearm’s length apart. 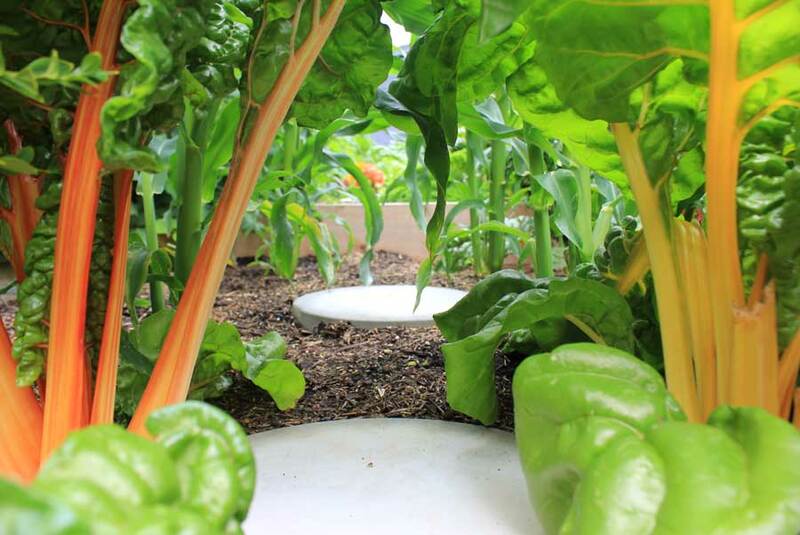 This helps to ensure good airflow between plants. 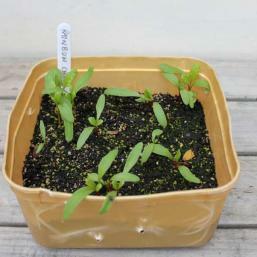 Soon enough you’ll see tiny seedlings appear and begin to develop proper leaves. 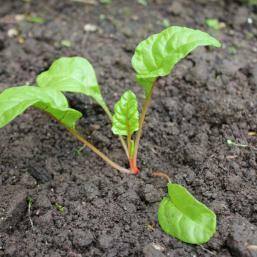 When seedlings are about half a finger high, thin out the rows by lifting alternate plants and carefully transplanting these thinnings to a new row (no waste here and these thinned seedlings should come away and grow into silverbeet plants providing you are gentle and conditions are cool and cloudy. Too much sun and these fledging plants might wilt and give up). I like to use an ice-block stick to lift the thinnings out of the soil by going in underneath them. This usually brings the roots up with some soil still on them and makes the whole transplanting business less of a shock. 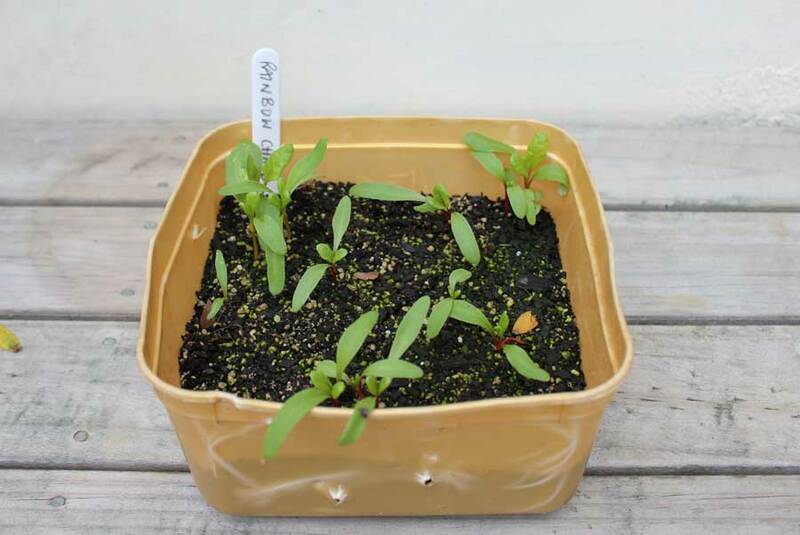 Once you have thinned, seedlings may look a little sad and lopsided, just give them a drink of water using a watering can with a rose on it to prevent washing away your baby plants in a torrent. They should perk up within a day or so. 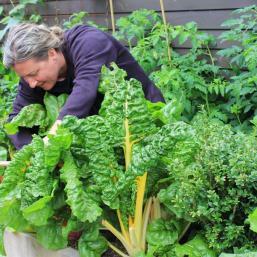 After thinning and recycling you should have a gap of about two hand’s lengths between plants. 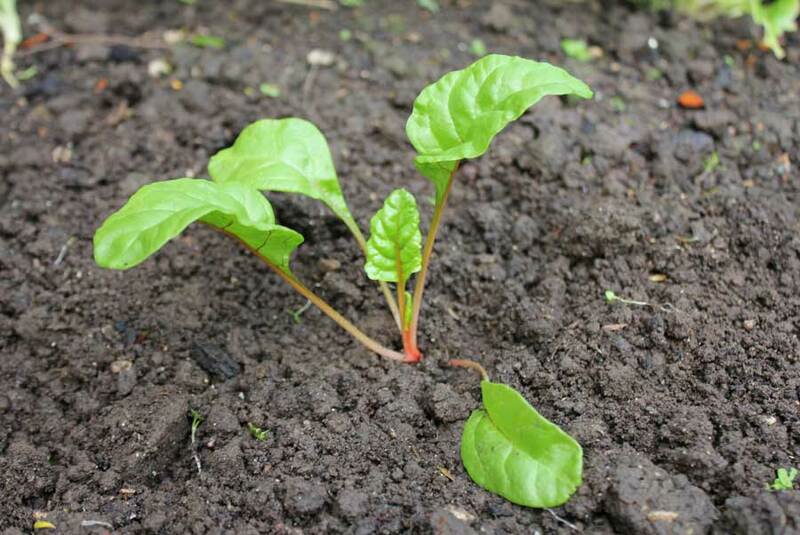 Keep soil relatively moist around your silverbeet as it doesn’t like to dry out for more than a day or so – especially when it is spreading its young roots through the soil. 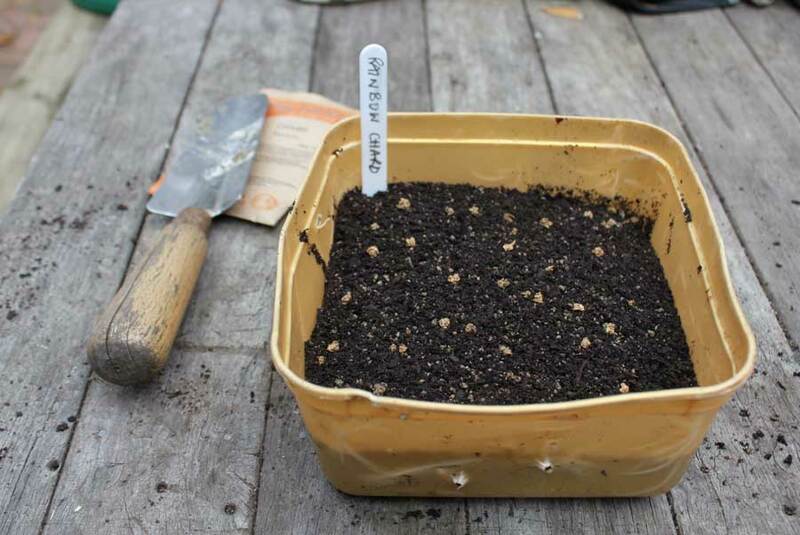 If it’s a bit chilly or windy you can protect rows of seedlings with a plastic cloche or individual seedlings can be given the comfort of a juice bottle cloche. 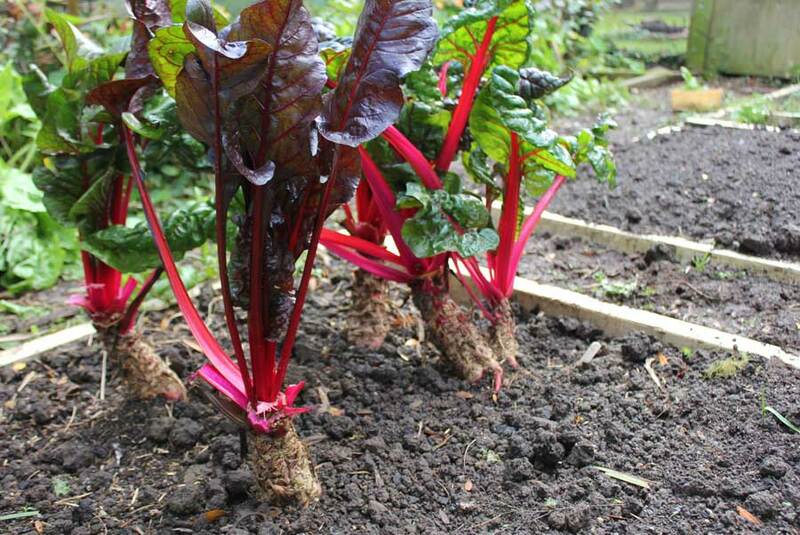 If you have a wormery then silverbeet will love a good glug of worm juice diluted to the strength of weak tea – maybe every two weeks. 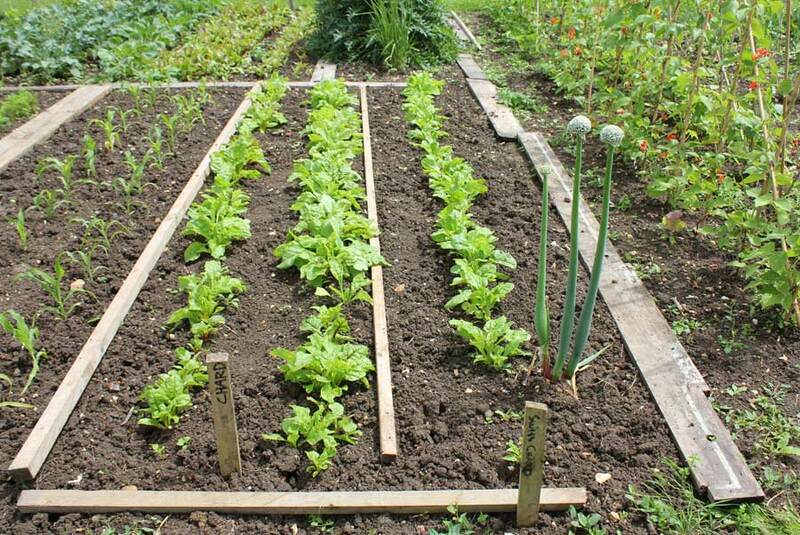 Once seedlings get to about the length of your hand you can mulch around them with straw, pea straw or newspaper to suppress weeds and keep in moisture. 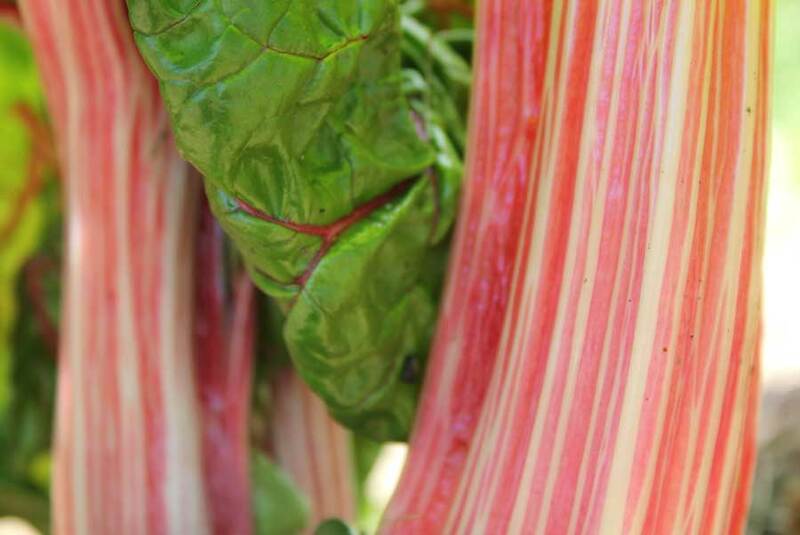 Watch out for slugs and snails as the fresh coloured leaves continue to unfurl – they have an uncanny knack of turning up just when things are starting to look juicy. Keep grass mown short around your beds and remove any piles of old pots or other debris that might provide sanctuary for these pests. A trip outside with a torch at night and a personalised means of disposal that rests with your conscience will soon see numbers under control. Mildew can be problem – remove affected leaves and use Baking soda spray. Pick individual leaves from around the outside of your plants as they continue to produce fresh new growth from the middle. Twist stems at their base and they should give way fairly easily. 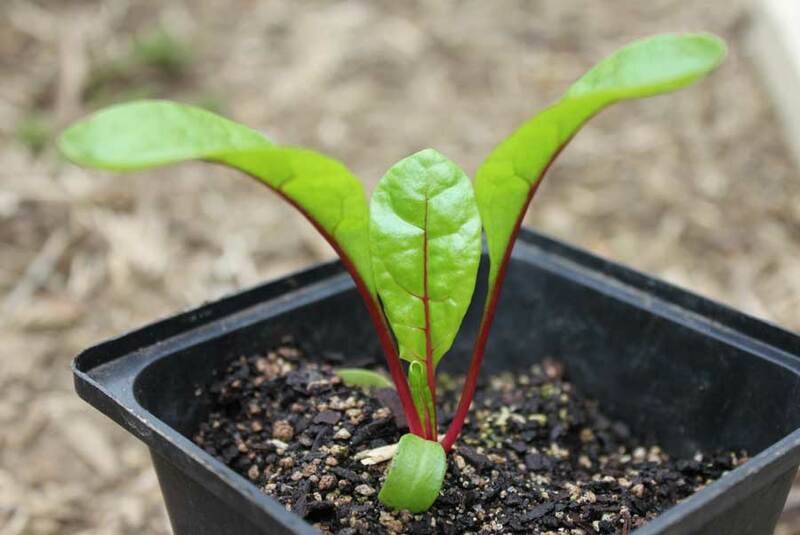 If you are a fan of silverbeet then it can be worth making successive sowings if you have the space, say a row per month, to ensure continued supply. Water well to keep moist during any unseasonal dry spells.